Did you know that elephants are very good swimmers? Well, if you do know that, then you should not fret too much knowing that there is a big, pink elephant swimming in your cup of tea. The $9.99 Big Brew Pink Elephant Tea Infuser is what this is all about, and you need not rub your eyes to do a double take as to whether you have had too much to drink the night before, or you have had some really, really good grass. 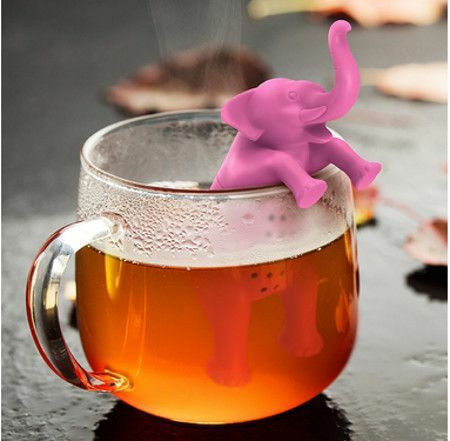 The Big Brew Pink Elephant Tea Infuser makes tea is worth trumpeting about, and all that you need to do is to perch this perky pink pachyderm in your cup, and get to sip on a cup of perfectly brewed tea.